Fall Roofing Schedule – Clean Gutters Before Winter! Fall is almost here and for most homeowners it’s roof maintenance season. This is the best time to do roofing inspections and take care of any needed repairs before the colder weather sets in. It’s also a time that roofers recommend you clean your gutters. Fully functioning, clean gutters are essential for keeping your roof in great shape into the next year. Gutters serve an important purpose for your house and roofing. Primarily, they catch rainwater rolling off your roof and divert it to a drainage area. Gutters prevent costly damage to your roof eaves, sides of your house, foundation, and other things. Unfortunately, homeowners frequently overlook this type of roof maintenance because of where the gutters are located. They can be hard to reach, out of sight, and easy to forget about. When gutters collect dirt and debris like twigs, leaves, and other items over time, the buildup starts to impede the flow of water through them and to the downspouts. In the worst cases, roofers find that many gutters end up completely blocked to the point of overflowing. Non-functioning gutters that pool water may seem harmless; however, they are far from it. Blocked gutters can be a source of destruction to your roof and other parts of your home. Water pooling in the gutters can cause serious water damage as roofing material and underlayment soak up water each time the gutters fill up. Wet underlayment and decking slowly rot over time, sometimes to the point of causing structural damage to the roof. 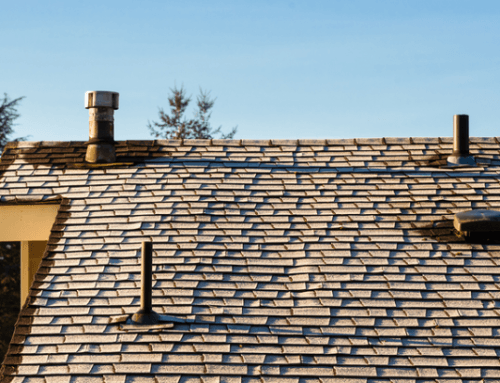 Wet shingles can grow algae and mildew that slowly eat them away, reducing their ability to protect the house and making them more prone to breakage. 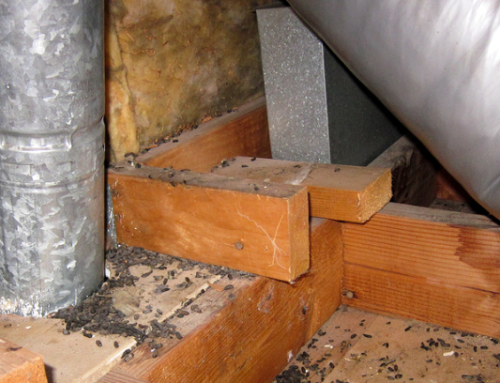 In addition to potential water damage that could affect your entire roof, those who work on roofs stress that gutters blocked by animal and insect nests increase the likelihood that these creatures could infest your attic. Wet areas around the attic eaves are a prime environment for mold that can destroy your indoor air quality and cause health problems. Why Is Fall Gutter Cleaning Essential Roof Maintenance? The main types of debris that a roof maintenance contractor finds in many gutters are vegetative debris like leaves and twigs, dirt and gravel from the shingles, objects that have blown into the gutters, and nests built by animals or insects. So the best time to have roofers inspect, clean, and repair your gutters is after storm season when the trees are bare but before cold weather sets in. They won’t fill up with debris again before winter and should remain fully functional until spring. Since this is also the time that many pests, animals and insects start nesting, a fall gutter check-up will ensure you won't deal with vermin& either. Gutters are a critical part of your roofing installation. To prevent the costly damage that can occur when gutters are not cleaned regularly as a part of a routine fall roof maintenance schedule, contact a local roofer today. Fall is the best time to do gutter cleaning and make other repairs to ensure your home is cozy and ready for winter! Need Roof Maintenance In College Station? College Station Roofers Clean Gutters!